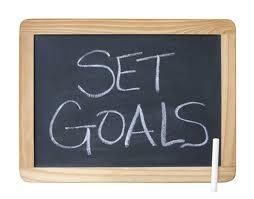 Working on goal setting…again! It was difficult to keep it to just 10. There is A LOT I want to accomplish in 2012! I’ll be revisiting the goals in another week. It’ll be interesting to see how the list changes and progresses. Made running a habit/lifestyle by running 3 – 5 days per week, totaling 800 – 1000 miles. Completed one event per month, with 2 PR’s. Built the Lawrence Fit Club up to 25 regular attendees, and started a Fit Club at East 91st Street Christian Church as part of the local outreach. Become certified as a Team In Training Run Coach for the fall events. Created and coordinated a Lawrence Run Club. Hosted at least 1 Fitness and 1 Nutrition Challenge per month. Successfully achieved Diamond Coach status within Beachbody by reaching SC5 for 11 months, and mentoring my personally sponsored coaches to help them build their own business. Paid off over $7k in debt. Taken my family on a vacation to Hawaii. Been seen in a Beachbody infomercial. What are your goals? How will you go about making them happen?